Jo Fletcher Books, 9781623650223, 304pp. "A scary read that will chill you to the bone," --Library Journal. After the battlefront death of her husband, a soldier, in the sands of the Middle East, a distraught Cass decides to move to the bucolic village of Darnshaw--a place she once knew and loved--with her teenage son, with the hope that a change in scenery will be just the thing to help her family heal. But the locals aren't as friendly as she had hoped and the iInternet connection isn't as reliable as her work requires. Ben begins to display an uncharacteristic hostility. A blizzard strikes Darnshaw, marooning it in a sea of snow, and Cass begins to despair. She finds a sympathetic ear in the person of her son's substitute teacher. But his attentions can't put to rest her growing anxiety about her son and her business. And soon, she finds herself pitted against dark forces she can barely comprehend. 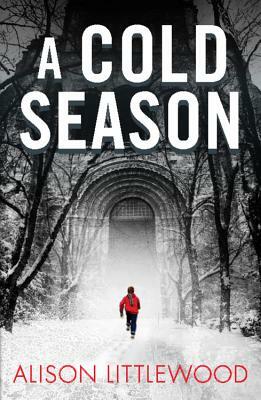 Alison Littlewood's debut novel, A Cold Season, was selected for the Richard and Judy Book Club, where it was described as "perfect reading for a dark winter's night." Her second novel, Path of Needles, is a dark blend of crime and fairy tales. Littlewood's short stories have been picked for The Best Horror of the Year and The Mammoth Book of Best New Horror anthologies, as well as The Best British Fantasy 2013 and The Mammoth Book of Best British Crime 10. Other publication credits include the anthologies Terror Tales of the Cotswolds, Where Are We Going? and Never Again. She now lives and writes near Wakefield, West Yorkshire.